Vive la France — that was the dominant message of the day during a tour of the French tech ecosystem. But is it time to invest in French startups? Around 40 partners of venture capital firms as well as limited partners came to Paris to talk about tech in France, from Andreessen Horowitz to Greylock Partners, Khosla Ventures and more. 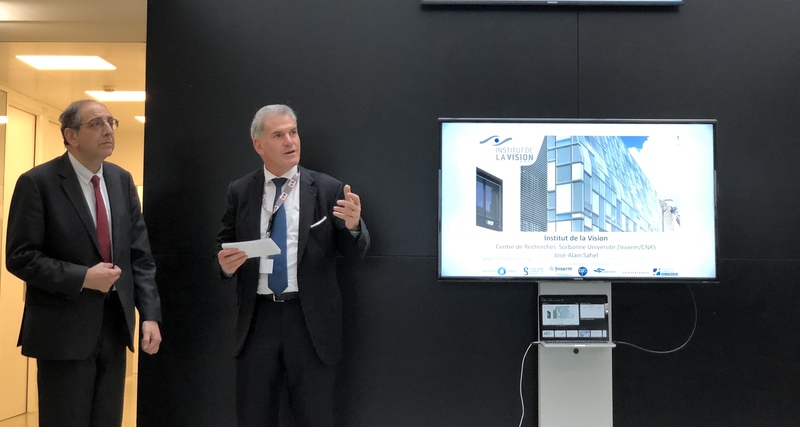 The two-day roadshow took place at Station F, the Vision Institute, iBionext and the Elysée Palace. According to Gurle, who is great at storytelling, Symphony has been looking at around 15 countries for their next office. They first selected Singapore but couldn’t put a team together. “We went to the board and said the next step is to invest in France,” Gurle said. At first, the board was really reluctant, citing the same concerns. Chairman of Business France and Ambassador for International Investments Pascal Cagni has been dealing with those concerns for years. For instance, when it comes to labor law, he says the regulatory framework is now predictable and limited — unlike in the U.K. or Germany for instance. You can fire people whenever you want. It means that you’ll have to pay a severance package, but everything is laid out. Silicon Valley is overheating right now. It’s become increasingly expensive and challenging to build a company — the tech industry is getting bigger and the biggest tech companies now dominate the talent market. That’s also part of the reason why Silicon Valley veterans are looking outside of their comfort zone. The question wasn’t about whether startups in France are a thing or not. The tone of the conversation was about pace and intensity. Is it time to invest now or should we wait? 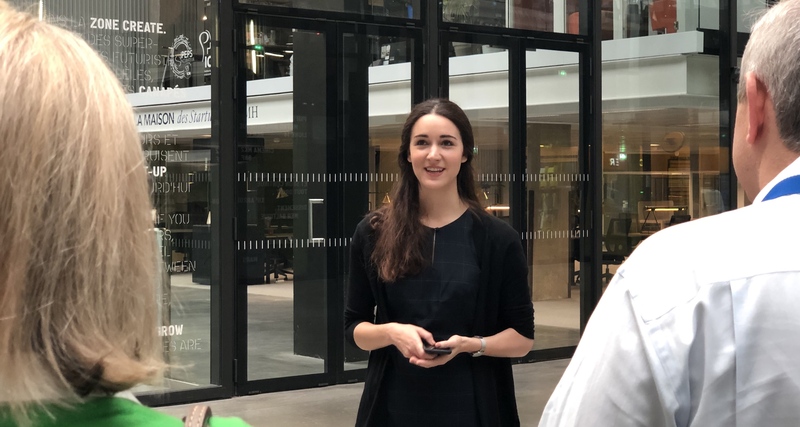 “We've noticed that we started investing more in European startups without even thinking about it — not just French startups but all over Europe,” Battery Ventures General Partner Chelsea Stoner told me. Depending on the study, France and the U.K. are battling to be the first European country when it comes to the number of VC deals and the total amount of money raised. But even more important than hard facts, the momentum has been pretty stunning. A few years ago, I could cover every single deal over $1 million. Now there are so many startups valued at hundreds of millions of dollars that it’s hard to keep track of all funding rounds above $20 or $30 million. France has some of the best engineering schools in the world. And now, most students want to work for a startup. So if France has a lot of capital and a big pool of talent, what’s missing? Should French startups get more support from the French government? “Five or six years ago, I would have said keep the government as far away as possible and I was wrong,” former Cisco CEO John Chambers told me. Chambers is now ambassador for La French Tech and doesn’t invest in French startups in order to avoid conflicts of interest. “When I said three and a half years ago that France would be the tech leader in Europe, nobody believed that — and it’s happening,” he said. 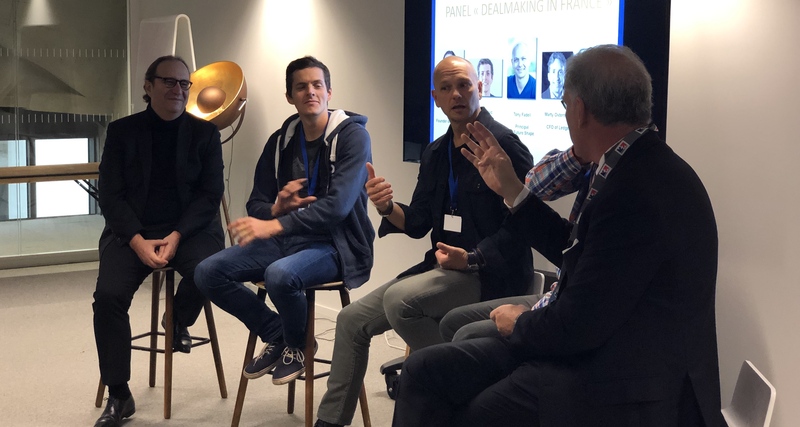 OpenClassrooms co-founder and CEO Pierre Dubuc said during a panel that one piece of regulation that has helped his startup quite a lot is the French Tech Visa. Thanks to this program, the company can get visas for future employees in just a matter of weeks. Chambers says that it works both ways. American employees apply to the French Tech Visa, work for French startups for a while and then come back to the U.S. It moves the needle when it comes to changing mindsets in the U.S. The French tech ecosystem also needs time. While there are a ton of good engineers, multiple people told me sales people and marketing talent are nowhere near the level of American tech companies. Some employees will need to go through 3 or 4 different companies and experience many different situations to become better. At this point, they can reinvest back their knowledge into startups. Big, late stage VC funds can also help speed things up. “Many people misunderstand the value of venture capital,” Chambers told me. Well-established funds have strong processes and know how to hire top management. That’s why bringing those VCs and LPs to Paris could help change things. Without turning this article into a political piece, it’s hard to talk about foreign investors coming to Paris without mentioning the yellow vests movement. In other words, tech can be a destructive industry. Nobody wanted to state that so directly, but everybody had that in mind. Ron Conway even told me that Airbnb could be the solution to address inequalities. “This whole yellow coats issue, that’s about income inequality,” he told me. There are 500,000 hosts in France generating $3 billion in revenue — and there should be more according to him. But I don’t think startups can solve everything, unfortunately. “There are going to be a few setbacks along the way and we’re seeing that with the social movement, but we shouldn’t lose the end goal,” Chambers told me. Of course, seeing France implode is in no one’s interest. VC firms are also looking at different opportunities because Donald Trump and Brexit make the future unpredictable. But it’s unclear if minimizing social movements is wishful thinking or long-term thinking. What was interesting about today’s visit is that some people are already investing quite a lot in French startups while others are completely new to the French tech ecosystem. When you hear Tony Fadell say that he’s invested in French startups with Xavier Niel for a few years, it creates a fear of missing out. “You see how the valley goes, it moves as a group,” Chambers told me. Bringing dozens of investors to Paris created some form of emulation. Nobody wants to be the first one to invest in something new, but nobody wants to be the last one either.